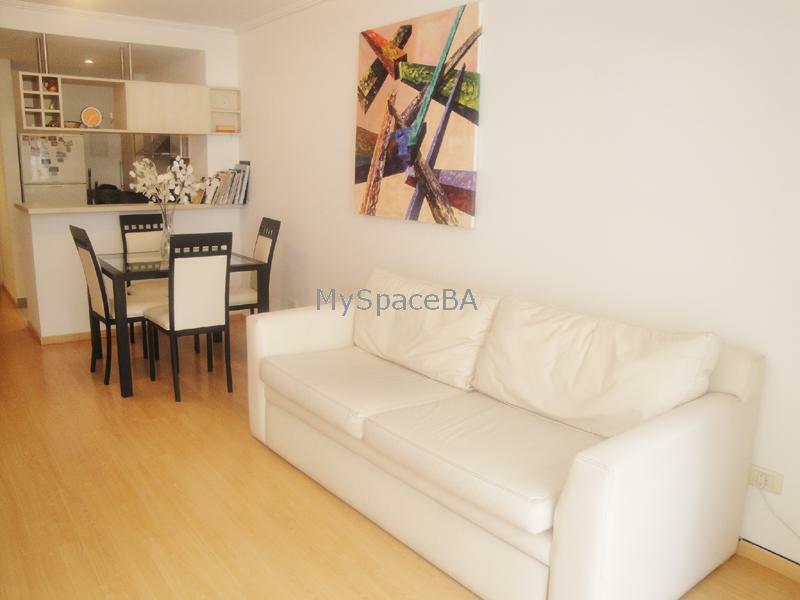 Very nice and bright one bedroom apartment located in a brand new building. with launderette, sauna and pool for summer season. The apartment offers a comfortable living room with a sofa bed, lovely balcony, kitchen with breakfast bar. It has a bedroom with double bed. The bathroom is complete with bathtub and shower. It is situated at the front side of the building. Air conditioning. Heating, Cable TV. High Speed Internet. Kitchen with microwave, gas cooker, oven, refrigerator, freezer, dishes, and kitchen utensils. Towels and linen. Cleaning service once per week. Excellent building , 5 years old with launderette, sauna and pool for summer season.